I don’t know about you, but I’m a bit of a nut job when it comes to Thanksgiving. I’m talking planning and cooking the perfect menu for days, joyfully! In the past Thanksgiving has been all about beer (both for my amaze-balls turkey brine* and the football) and finding the perfect wines to compliment dinner. But this year, after almost a full year of falling head first into the cider barrel as I explored craft alcohol around the world, I’m introducing cider to the Thanksgiving table. And you know what? I think you should too! Cider is perfect, maybe even better than wine (gasp!) for Thanksgiving meal. Why? Well first of all, apples are the poster child of fall…meaning they naturally pair well with other fall flavors. Roasted, caramelized, nutty, rich, savory or sweet – it’s hard to argue apples won’t compliment any of those flavor profiles. Cider also has a lot of similarities to wine (acidity, astringency, natural sweetness) but they tend to have almost half the alcohol content which makes them ideal for a full day of sipping throughout the festivities. Bonus of cider? Many are effervescent. Which makes them crisp and refreshing without the gluten of beer or the higher alcohol of sparkling wine. All right, ready?! 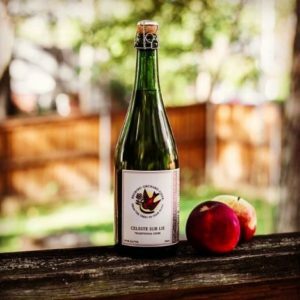 Here are a few of my top cider picks throughout the country to get you started. The following eight cider makers all ship across the country, so click the links below and get cider delivered right to your door just in time for the big day. No one needs another trip to the store at the holidays! 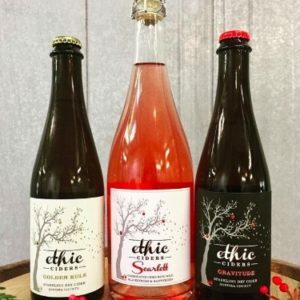 First up, we have one of my local favorites, Ethic Ciders. I’m starting off here because they make it SUPER easy for you to decide which of their incredible ciders to buy. Their cider holiday box, of course! No decisions needed – you get one each of their Gravitude, Golden Rule and Scarlett ciders. Honestly I’d go for the half-case option so you get 2 bottles of each… trust me on this. I’ve been there. A minimum of 2 of each bottle is a good rule to live by for any alcohol your bringing home! Next we have Redbyrd Orchard Cider in upstate New York. They were New York state’s first biodynamic cider apple orchard and have quite a few great ciders. For Thanksgiving, in particular, I suggest the Celeste Sur Lie for a nice champagne-style option or their Workman Dry Cider. Heading over to Colorado now let’s talk about Haykin Cider. 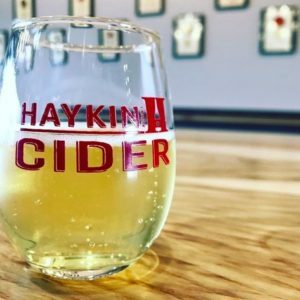 Their Harrison Cider is not only delicious, but it’s so fitting for this holiday given it uses one of America’s oldest cider apples, Harrison Apples. It’s actually believed that these apples may have been here before the founding of our country! Perfect to celebrate and remember what this holiday is really all about. Their Odds & Ends cider with some orange peel notes would be lovely as well. 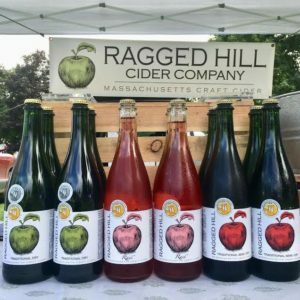 Ragged Hill Cider is from my home state of Massachusetts, but don’t worry – I’m not biased. They just make really great cider that I want you to enjoy! 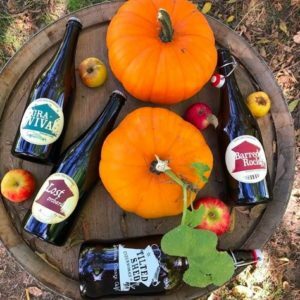 While their seasonal cider likely isn’t available broadly, their Dry and Semi-Dry ciders would be great, straight-forward ciders to complement your entire Thanksgiving meal. Let’s mix it up with some canned cider, shall we?! Perfect for the guys getting rowdy while they play a little pre-dinner football…or to pour in a fancy glass. Swilled Dog ciders stand up to both. Their Bunny Slope hopped cider is great for the craft beer drinkers in your crowd while the Pumpkin Patch cider is pretty damn hard to resist this time of year! 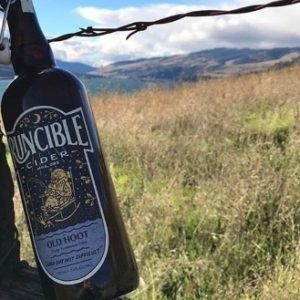 Besides just loving the name of Runcible Cider’s Old Hoot, it’s made in the traditional British style which is perfect for Thanksgiving. Why? 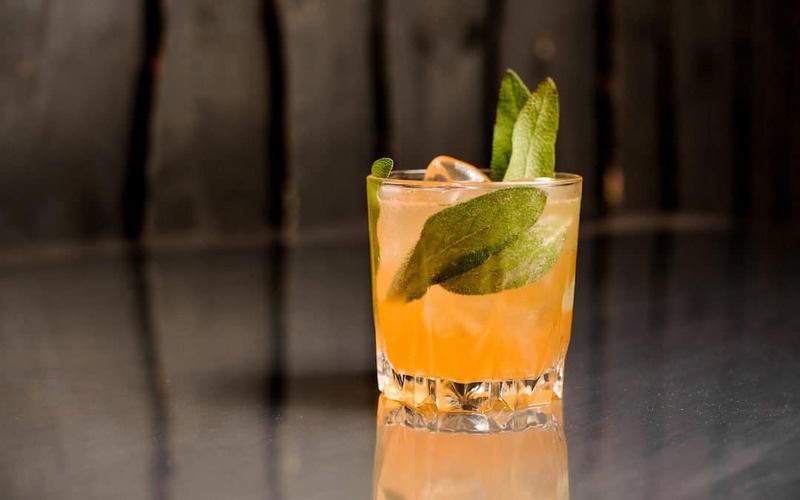 British style cider is not only typically dry, but they can also be a little funky and slightly tart. Great to cut through all of that richness. Back to California and another one of our local favorites. If you haven’t seen our video about Tilted Shed Ciderworks you can get the lowdown here. They have a wide range of amazing ciders to choose from but for this particular holiday I’d personally choose their Barred Rock Barrel Aged Cider or Smoked Cider (yum!). If you can find their Inclinado Spanish style cider that would work beautifully as well. 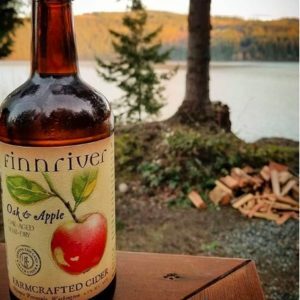 Last, but certainly not least we have a treat for you from the Pacific Northwest with some modern ciders from Finnriver Cidery. The term modern cider, or contemporary cider, typically means ciders that are infused with local or seasonal ingredients. In particular, Finnriver’s Oak and Apple, Cranberry Rosehip, and Dry Hopped Sidra would be divine with this meal! Have you enjoyed cider at Thanksgivings in the past? What are your favorites? Please share! Or better yet if you’re a cider producer who KNOWS their cider is amazing with Thanksgiving dinner make sure we know who you are and where our readers can get their hands on your cider by leaving a comment below. If this is new to you, report back and let us know what you and your guests thought after Turkey Day. Happy Thanksgiving Tippler Nation! *Do you want my amaze-balls turkey brine recipe? What about my nut-job week of Thanksgiving planner? 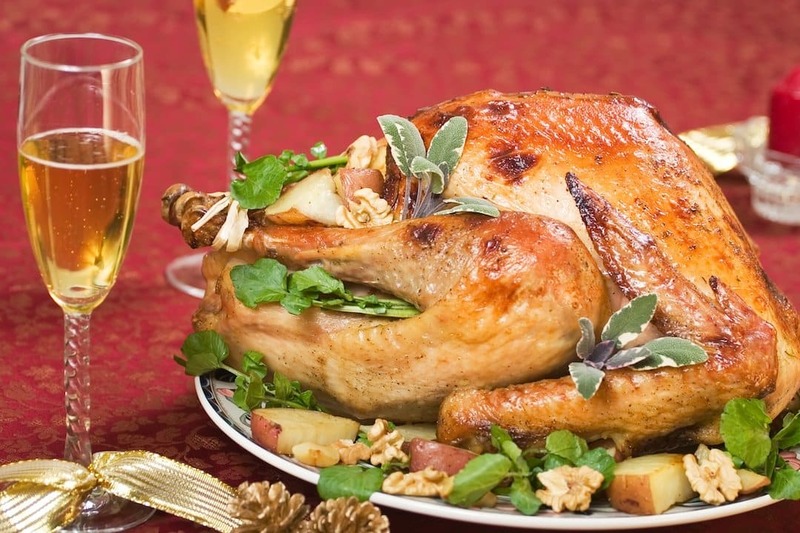 Head on over to one of my old SavoryGirl Thanksgiving articles for all the foodie goodness. You gotta have something to go with all that cider, right? 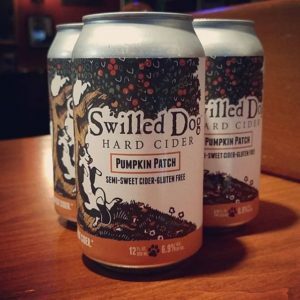 New to cider? Check out our whole series here or get a jump on your holiday shopping and check out this fabulous book all about the taste, tradition and terroir of cider.